This Outdoor Living Design Suite of CAD outdoor furniture blocks has everything you need to design beautiful outdoor living spaces. 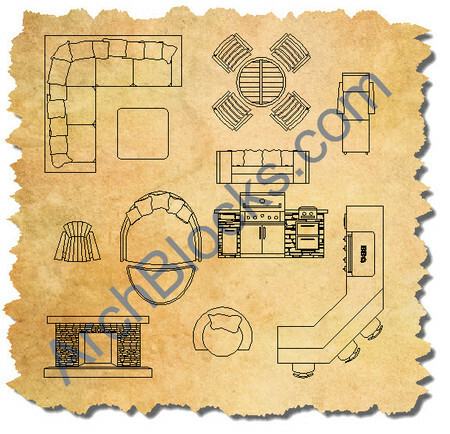 This CAD blocks library includes 66 symbols and all are available to Download NOW! If you have any questions about how to download this library, click below to see the download instructions page.